Pioneers in the industry, we offer chain conveyor for grain from India. We have specialization in manufacturing and supplying qualitative assortment of Chain Conveyor for Grain. These provided chain conveyor is utilized for moving bulk handling of grains down the assembly lines in food processing industries. Our offered products are being fabricated with technology are well known for their strength, user friendly design and wear resistant traits. With the use of meticulous professionals, we render quality tests these conveyors as per updated industrial norms. 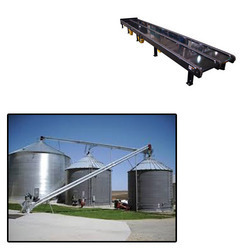 Looking for Chain Conveyor for Grain ?